Hemoglobinopathy is a common hereditary disease, encompassing genetic disease of hemoglobin mostly in the form of thalassemia or structural hemoglobin variants. Underdeveloped countries of the Mediterranean region, Africa, and Southeast Asia have the highest occurrence of hemoglobinopathy disorders, especially sickle cell anemia and thalassemia. Growing awareness regarding hemoglobinopathy disorders coupled with various private and public initiatives is fuelling the growth of the global adult hemoglobinopathy testing market. 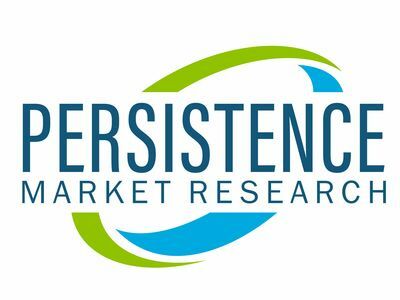 According to the new report by Persistence Market Research (PMR), the global adult hemoglobinopathy testing market is estimated to slowly gain momentum in the coming years. In terms of revenue, during the forecast period 2018-2026, the global adult hemoglobinopathy testing market is anticipated to reach a valuation of US$ 420.3 Mn by 2026, expanding at a moderate 3.9% CAGR. Experts at PMR have studied the growth trajectory of the global adult hemoglobinopathy testing market, with comprehensive insights on the performance of the various regional markets. Europe is anticipated to be the most lucrative region for the hemoglobinopathy testing market, owing to the growing population migration. Since, hemoglobinopathy diagnosis is a complex and expensive process, with long-tern therapies to correct the disorder, costs associated with adult hemoglobinopathy testing further increases. However, several insurance benefits from the Governments and inclusive reimbursement systems for diagnostic tests and treatments in the U.S and Europe, creates a favorable environment for the growth of the global hemoglobinopathy testing market. However, lack of awareness- about the disorder and the treatment among certain sections, especially in underdeveloped and developing economies, is a major factor restricting the growth of the global hemoglobinopathy testing market. Key players in the global hemoglobinopathy testing market have been channelizing efforts towards development of new technologies such as HPLC tandem mass spectrometric (LC MS/MS) and point of care testing. Top players in the global hemoglobinopathy testing market are Thermo Fisher Scientific Inc, PerkinElmer Inc., Bio-Rad Laboratories, Inc., Chromsystems Instruments & Chemicals GmbH, and BioMedomics, Inc. The World Health Organization has identified Sickle Cell Anemia as a global health problem, mostly prevalent in African and sub-Asian regions. A large population, from the affected areas are migrating to Europe and North America, thereby increasing pool of newly diagnosed cases of hemoglobinopathy disorders. In the wake of increased migration, the adult hemoglobinopathy testing market is expected to swing up in northern and central Europe, particularly Germany. Similarly, with increased migration from Asia, North America has witnessed an increase in the hemoglobinopathy detected cases, thereby, fuelling the hemoglobinopathy testing market over the forecast period. In the lieu of increasingly hemogloinopathy genotypes, policy makers have been implementing several public health interventions including screening programs and genetic testing and counselling, which will further drive the global adult hemoglobinopathy testing market in the coming year. Since hemoglobinopathy is a genetic cure, there is no permanent cure it. However, to fight that, government and non-government policy makers are continually rolling out advance testing methods for hemoglobinopathy diagnosis, especially in underdeveloped and developing economies more prone to hemoglobinopathy, creating an opportunity for prenatal diagnostic testing and molecular testing. Governments are developing adequate facilities for prenatal diagnosis along with establishments to manage existing hemoglobinopathy patients. Premarital and prenatal genetic testing for the sickle cell trait identification is rapidly gaining popularity in developed as well as developing countries. Moreover, growing demand for rapid and accurate detection tests is expected to provide lucrative opportunities to new players in the adult hemoglobinopathy testing market coupled with research and development activities, further augmenting the adoption of hemoglobinopathy testing techniques. Lack of early and precise detection in Sub-Saharan African region results in early mortality in hemoglobinopathy patients. Low-cost therapies, rapid POC diagnosis methods, and collaboration with government and NGOs for more novel diagnostic methods are likely to present investment opportunities to manufacturers in the global hemoglobinopathy testing market.